My Blog Spark contacted me about reviewing the new Pillsbury Sweet Moments refrigerated products. We tried the Molten Brownie Chocolate Fudge. It was so good! 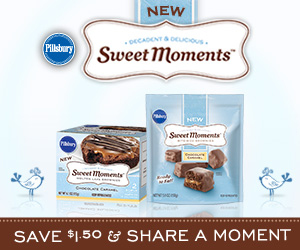 What’s even sweeter is that you can now deliver special “Sweet Moments” to someone who you know could use an indulgent escape, by stopping by Pillsbury.com and Pillsbury’s Facebook page to send a special e-card with a coupon for $1.50 off one package of Pillsbury Sweet Moments Brownies. You’ll also receive another coupon for yourself. Pillsbury Sweet Moments Brownies, now available in the refrigerated baked goods section of the grocery store, are perfect for indulging any time of the day. The Bite-Size Brownies, which are layered with either rich caramel or fudge, and wrapped in a chocolaty coating, are just the right size to grab and go for a quick pick-me-up. They’re ready to eat, so you can indulge when cravings strike – without preparation! And, at 60 calories per brownie, they’re just enough to satisfy your sweet tooth. And to reward yourself for a busy day well spent, try Sweet Moments Molten Lava Brownies, which are served in single-serve bowls and are also available in rich caramel and fudge varieties. Each brownie is covered in decadent chocolate or creamy caramel and topped with a chocolatey drizzle. After only 15 seconds in the microwave, the brownie bowls are warm and ready to enjoy. When chocolate heaven is this easy, how could you resist pausing for Sweet Moments at the end of your day? So now you get the opportunity to try one for FREE along with receiving a cute T-shirt, a set of magnets and an adorable little birdie necklace. But did you notice the e-card opportunity listed above? By sending an e-card to someone special, they'll receive a $1.50 coupon to use toward one package of Pillsbury Sweet Moments Brownies, and so will you! So who will you send a little e-card to for some special "me time"? 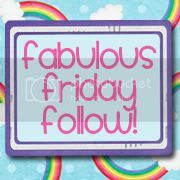 Leave a comment stating who you'll send an email to OR which Sweet Moments product you'd like to try. Remember to include your email address so I may contact the winner. A winner will be chosen by Random.org on Sunday October 31st at 6:00 p.m. E.S.T. This giveaway is now closed. Thank you. I'll send the email to my mom! I would like to try the molten lava brownies! We've tried the bite size snacks,& they were good, so I'd want to try the lava brownie! Thanks Candi. I will be sending one to my mom. I'm most excited to try the Chocolate Fudge Bite-Size Brownies :) *Thanks* for the giveaway! Sending one to my mom! I would try the chocolate caramel brownie bites. Yum! I would like to try the chocolate molten brownies. I will send it to my mom!